"The decrease in eggs per clutch is likely due to increased energy consumption by females during warmer winters," Benard explained in a release. It was observed that rain and snow had a positive impact on egg production. For every 2.5-centimetre increase in total precipitation, the number of eggs per clutch increased 2.3 per cent, or 16.5 eggs. The reason is uncertain, but with climate change expected to increase rainfall in some regions, the effect may help counter potential losses associated with warming. In an email interview to Down To Earth, Benard explained what this phenomenon meant for the frog population. “It appears that there are both harmful and beneficial effects of warming winters and breeding early. One of the harmful effects is that when winters are warmer, frogs produce fewer eggs. With fewer eggs, there are fewer young frogs to grow into reproductive adults. One of the beneficial effects of breeding early is that the frogs metamorphose from tadpoles into juvenile frogs earlier in the year. When frogs metamorphose earlier in the year, their survival to adulthood is increased. So higher survival may balance out fewer eggs,” he said. According to Benard, these changes can be monitored by professional and volunteer scientists who study when amphibians breed by listening for when different species call. 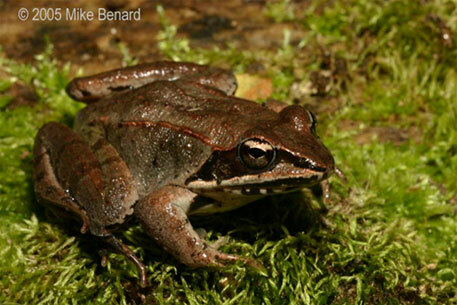 For example, Ohio frog call survey records when frogs are heard calling each year. By collecting this data over many years, it can be used to test for relationships between changing climate and frog breeding.